Jonathan is a PhD student working with Dr. Buggs at Queen Mary University of London. He is funded by Science without Borders, a Brazilian Government scholarship programme, through its higher education agency CNPq (Conselho Nacional de Desenvolvimento Científico e Tecnológico). 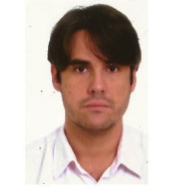 He did his undergraduate studies at the Universidade Federal de Viçosa, Minas Gerais, Brazil and holds a Masters Degree in Forestry Sciences from the same university. Jonathan worked for 8 years in the Brazilian forestry sector at Aperam BioEnergia, a company that plants Eucalyptus for charcoal production, supplying the Aperam Inox South America stainless steel industry. His core role was in Forest inventory and Planning, working with Long Term and Tactical Forest Planning and coordinating Forest inventory data collection and analysis. Aperam BioEnergia’s strong background in Eucalyptus genetic improvement has also directed his interest into forest tree breeding strategies using advanced genomics tools. During his PhD he will be working with genomics tools for enhanced efficiency of selection for superior Fraxinus excelsior (ash) trees resistant to Hymenoscyphus fraxineus (ash dieback). RAMOS, DIEGO CORREA ; REIS, GERALDO GONÇALVES DOS ; REIS, MARIA DAS GRAÇAS FERREIRA ; LEITE, HELIO GARCIA ; STOCKS, JONATHAN JAMES ; LIMA, ANA PAULA LEITE DE ; FARIA, RONAN SOARES DE . Thinning effect on plant growth of pruned eucalypt clone. Revista Árvore (Impresso), v. 38, p. 495-503, 2014. http://dx.doi.org/10.1590/S0100-67622014000300012. OLIVEIRA, CARLOS HENRIQUE RODRIGUES DE ; REIS, GERALDO GONÇALVES DOS ; REIS, MARIA DAS GRAÇAS FERREIRA ; XAVIER, ALOISIO ; STOCKS, JONATHAN JAMES. Leaf area and biomass of intact plants and sprouts of juvenile eucalypt clone in an agroforestry system. Revista Árvore (Impresso), v. 32, p. 59-68, 2008. http://dx.doi.org/10.1590/S0100-67622008000100008. MONTE, MARCO ANTONIO ; REIS, MARIA DAS GRAÇAS FERREIRA ; REIS, GERALDO GONÇALVES DOS ; LEITE, HÉLIO GARCIA ; STOCKS, JONATHAN JAMES. Indirect methods to estimate canopy coverage of clonal eucalypt plantations. Pesquisa Agropecuária Brasileira (1977. Impressa), v. 42, p. 769-775, 2007. http://dx.doi.org/10.1590/S0100-204X2007000600002.